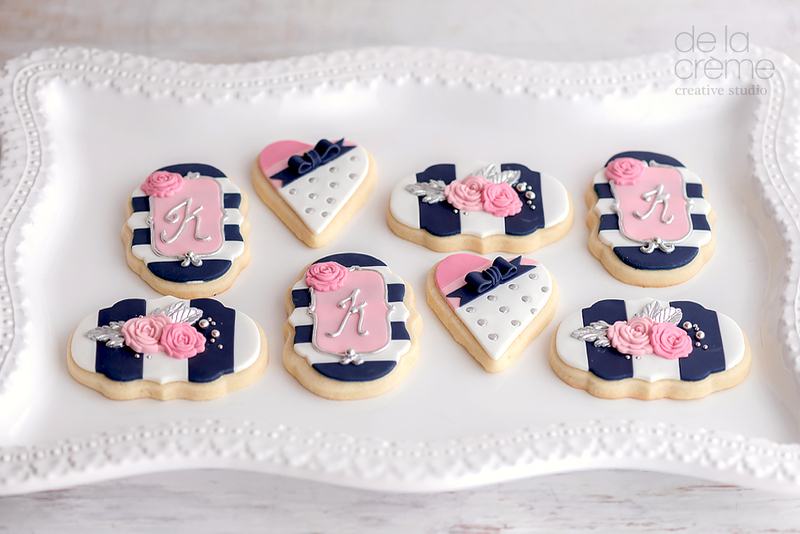 Kerri's bachelorette cookies needed to be extra special, so we designed an extremely glam and girly set using her wedding colors of pink and navy with silver accents. 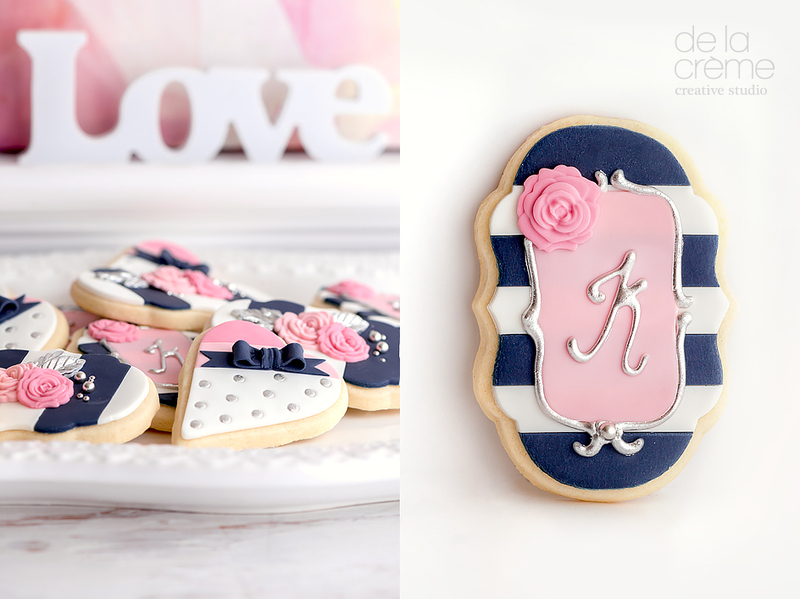 And I must say, I just LOVE how they turned out! !